Harley Davidson - I Say Ding Dong Shop - Buy Stickers, Decals & Unique Automobilia. Aermacchi Harley Davidson Stickers. 7.5" Pair. AMF Laser Cut Self Adhesive Motorcycle Badge. Black & Silver. 50mm. 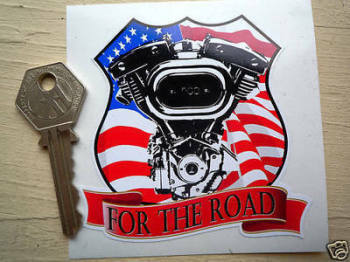 Harley Davidson 'For The Road' V Twin USA Sticker. 3.5". 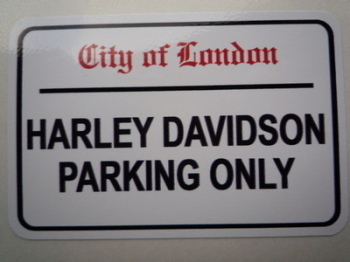 Harley Davidson Black, White, and Orange Roundel Sticker. Motorhome, Pick-up, Trailer. 6.75". Harley Davidson Parking Only. London Street Sign Style Sticker. 3", 6" or 12". 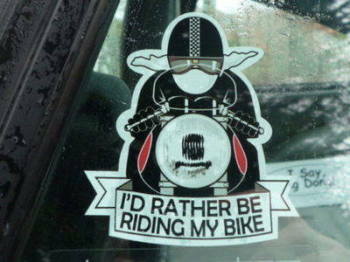 Outlaw Motorcycle, Biker, Hot Rod, Custom Script Style Cut Vinyl Sticker. 3.75". Sun Oil (Early Sunoco) Vertical Service Sticker. 6.5". Tom Sifton Harley Davidson San Jose California Dealer Sticker. 3". 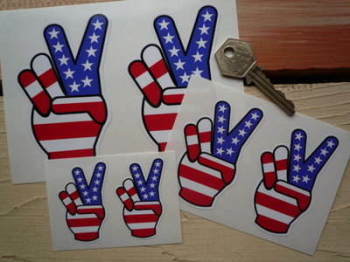 USA Stars & Stripes Peace Fingers Stickers. 2", 3" or 4" Pair.